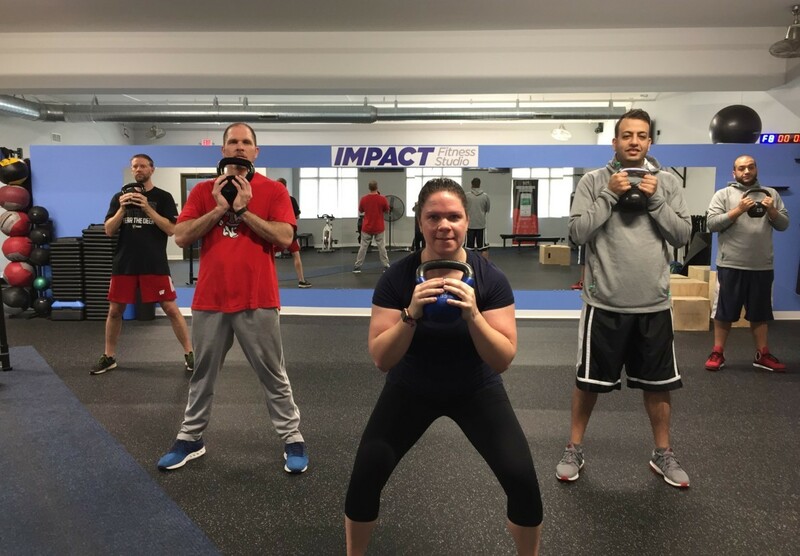 Impact Fitness Studios' Specialty Fitness Classes in Oak Creek and Bootcamps provide High Performance Training to Look, Feel, and Be Better. Using fresh foods, as well as a variety of spices and ingredients is central to healthy cuisine that satisfies the food lover, but also keeps us on track with our goals. Translating that philosophy to fitness, our Specialty Classes help keep things fresh, introducing new exercises, experiences, and frequency of workouts for our clients. This lineup of specialty group fitness classes such as Bootcamp, Kettlebells, Tabata, Boxing and Yoga help diversify your fitness regime, or simply provide a great introduction to all that Impact Fitness has to offer. Get started with Fitness Classes in Oak Creek, Fitness Bootcamps in Oak Creek, and Fitness Classes in Franklin. Our Fitness Class lineup is available to our Personal Training or Semi-Private Clients as an add-on à la carte purchase or by membership for those solely interest in making group fitness classes staple of their fitness regiment. Your success is our success. That’s why we don’t limit the expertise and accountability of our Fitness Consultants to our personal training clients. 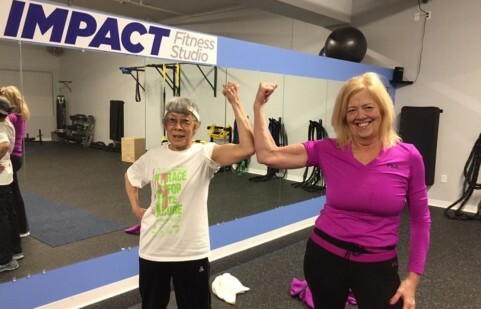 As a Specialty Fitness Class client, you are encouraged to tap into their expertise to help address any problems – goal setting, pain, nutrition concerns, etc. – that might come up during your time with us. “Strength 1000” – Get your full body 1000 reps in. Focus on Strength exercises using dumbbells and kettlebells in this class. Build strength and endurance in this tough strength class. “HIIT/Plyometric Stations” – Move around the gym to different stations that incorporate HIIT, cardio and plyometric exercises for a full body workout. We will use all equipment: dumbbells, sandbags, bike, rower, TRX kettlebells and more. “Strength/Cardio Conditioning” – Using dumbbells, kettlebells and more, complete different strength and conditioning exercises that will get your heart rate up and challenge your strength. “Tabata ” – 20 seconds of work, followed by 10 seconds of rest circuits. This fast paced class uses dumbbells, med balls, and body weight exercises that will leave your drenched! “Strength/Kettlebell/TRX” – Using dumbbells, kettlebells, TRX and more, complete different strength and conditioning exercises that will get your heart rate up and challenge your strength and balance. “Strength Cardio Conditioning” – Using dumbbells, kettlebells and more, complete different strength and conditioning exercises that will get your heart rate up and challenge your strength.